Genesis Tennis offers squad coaching sessions at our indoor courts, located at Genesis Christian College. Our squad coaching sessions are available for adolescents aged 13-17 who are committed regular players looking to evolve their game. Squad sessions are run at a higher intensity which reflects that of a player looking to exist in a performance based arena. Squad designed for players who have graduated through the developmental stages of modified tennis, (red, orange and green) Squad sessions are run at a higher intensity which reflects that of a player looking to exist in a performance based arena. Players who are in this squad are expected to attend Strength and Conditioning sessions in the gym as part of their program. Squad for committed regular tournament players who are evolving their game into a well-structured skill set. Their critical thinking is at a high level which allows more complex situational drills and point play. This squad is for a player who considers him/herself a full time tennis player, will operate from a periodization plan with outcome goals attached and training which is specific to their individual needs. A squad for those who want to evolve their tennis to a level where they can enjoy it from a casual perspective, are not necessarily looking to go through the performance pathway but nevertheless can enjoy competition in fixtures. Find out why children of all ages love to swim at Genesis Aquatic Centre. 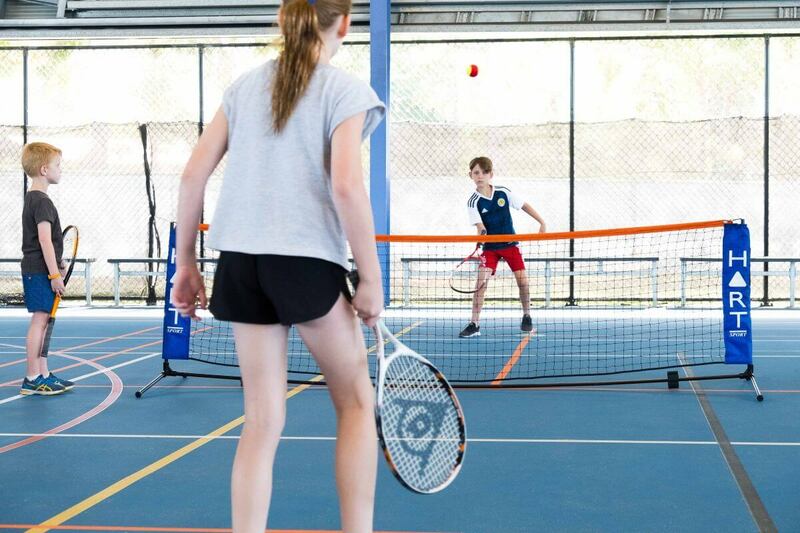 Never miss a tennis lesson with our undercover courts. Enhance your student’s sporting performance with our Genesis Athletic Performance Program (GAPP). Genesis Sport & Aquatics is committed to the health and fitness of our students and members of the wider community.Join today and enjoy Genesis Aquatic Centre, Genesis Fitness Centre, Genesis Tennis, Genesis Football Club, Genesis Pinecones Netball and Genesis Triathlon.